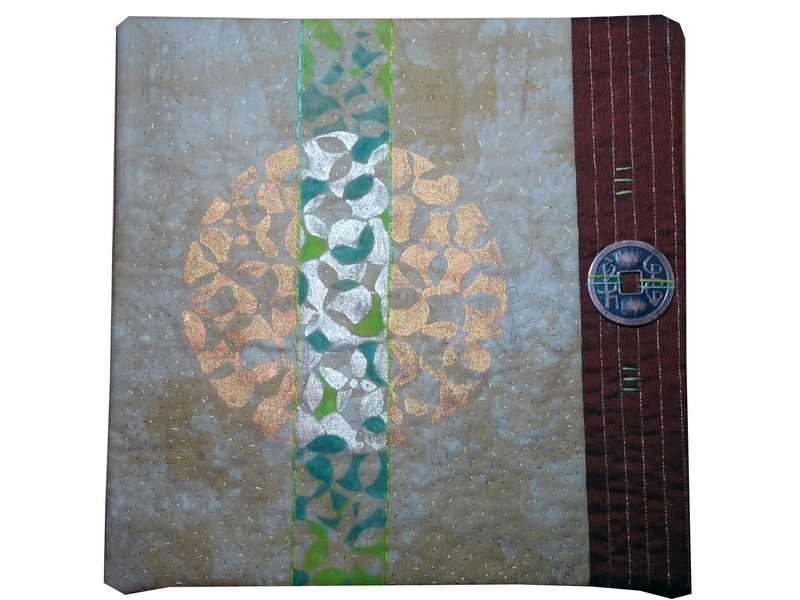 All those metalics in your journal quilt, AND a Chinese coin -- all with a wobbly bottom, still it looks simple and elegant. Great when spouses get some credits! I'll keep an eye out for the book although I'm already familiar with the quilts. Yesterday I ordered a copy of the book through bookdepository and it said on the site that it would be released after 70 days. Today they sent me an email that the book has been released and that it's on its way. Odd. Yes, I got my book the same day as Gerrie got her author's copies. I am loving it.